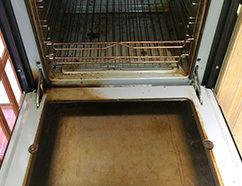 We provide a full deep clean bringing the oven back up to new condition. We take the doors/glass off where we can - 99% allow you to. The racks, fan, sides and bulb cap are all removed to ensure every part is cleaned. 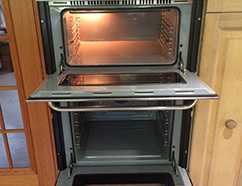 We spend as much time needed on the oven to ensure it's brought back up to new condition. 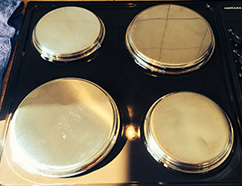 Whether it's glass, ceramic, gas or any other variety of hob, we will ensure it's cleaned up to the highest standard using our "special" hob cleaning products. 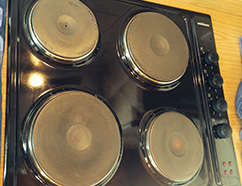 Even the little bits that you think we can't get rid of on the hobs will be tackled! 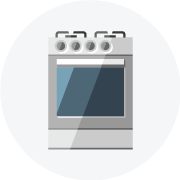 Built into the kitchen, stand-alone or stainless steel, we can clean any type of extractor, big or small! 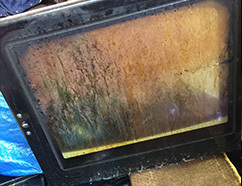 The filters are either replaced or cleaned depending on the kind of extractor you have. It's degreased (getting rid of all that built up grease and smell that's hidden in the extractor) and then all polished up! 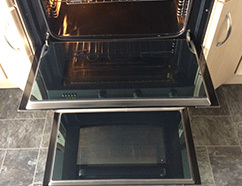 We are a family-run business who specialise in domestic oven cleaning. 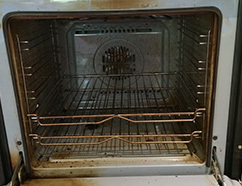 We rate ourselves as one of the most successful and professional independent oven cleaning businesses in Dundee, and the surrounding areas such as Broughty Ferry, Carnoustie, Arbroath, Forfar, Kirriemuir, Perth, Fife, Kinross and St Andrews. The business is run by Martin. 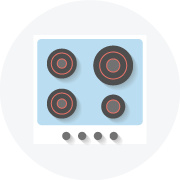 We specialise in the removal of grease, grime and burnt-on carbon from all types of domestic ovens, free-standing cookers, tradional stoves, ranges, Agas, Hobs, extractors hoods and microwaves. We pride ourselves on producing excellent results that will amaze and delight our customers. 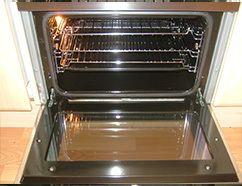 Giving value for money by providing a professional oven cleaning service. Call us on 01382 351962 for a completely free quotation or click 'Enquire Now' to get your free quotation online! Hi my name is Martin Clanahan and I am the owner of Oven Pro. I am a very active person with a background in sports/fitness/nutrition. I bet your wondering why I do oven cleaning then...because I love it. My father in law has been oven cleaning for over 12 years and I saw how much he loved it so I thought I need to get myself into this! From then onwards I didn't look back. I enjoy it so much I don't call it a job! “ Excellent service and prices. My oven looks brand new"
“ 1st time using Martin since he took over from Paul. Nice guy, brilliant clean & service! 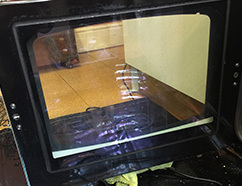 How long would it take to clean my oven? 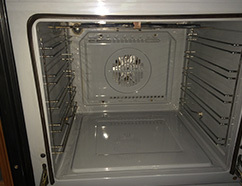 As a general guide it usually takes a couple of hours to deep clean an oven. 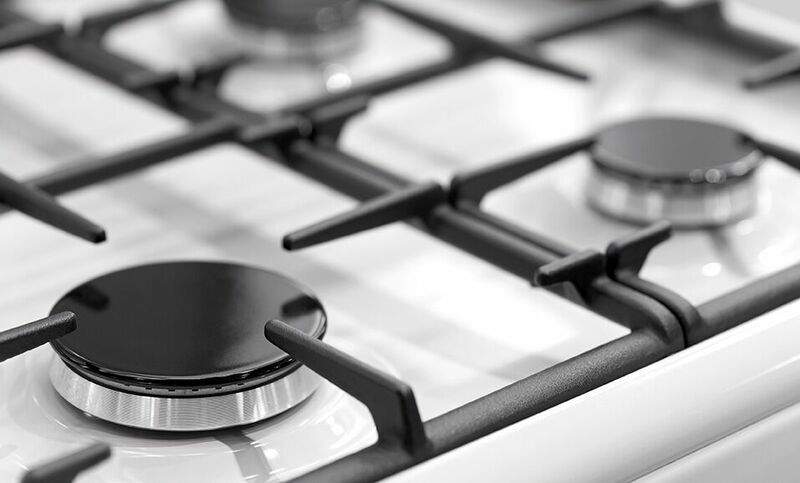 A large appliance such as a Range or Aga will take around 3-4 hours. 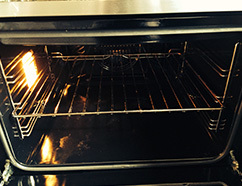 The time it takes to clean will also depend on how dirty your oven is. We have set prices and our costs are fully inclusive. There wont be any hidden extra's such as travelling costs or VAT. 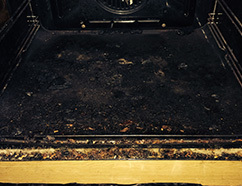 Our charges are NOT linked to how dirty your oven is or how long it takes to clean it. How do you clean the ovens? All removeable fittings such as stainless steel racks, panels and rings are taken out of the oven or cooker and soaked in our van based tank. 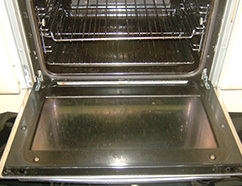 Whilst these are soaking, the remainder of the oven is cleaned by hand using low odour, water based cleaning products. 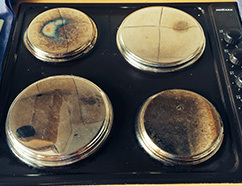 Grease and burnt-on carbon are removed from the interior surfaces. 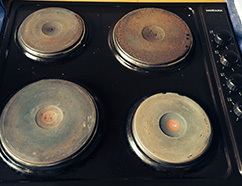 Once cleaned the removeable items are returned to the oven. The exterior is degreased, cleaned and left shining. 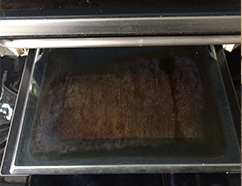 The results we can achieve depend on the condition of your oven of course, but we are confident that you will be amazed and delighted with the results. 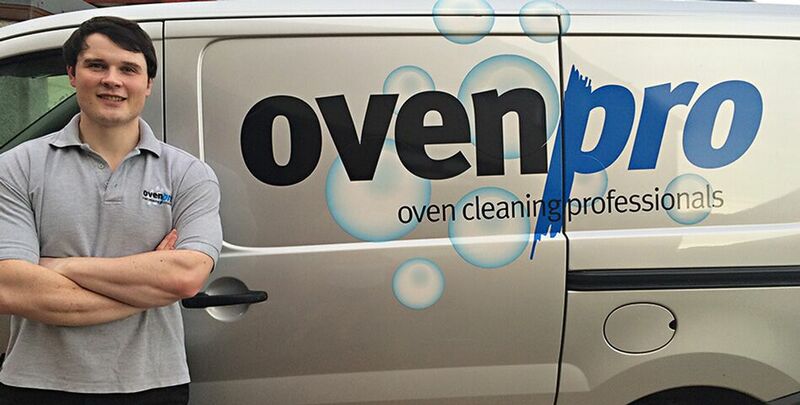 We are always honest with you before we start to clean your oven, cooker, hob or extractor hood. If we have any doubts that we will be able to produce excellent results we will discuss this with you before hand and explain why. You are paying for our time, expertise and of course the cleaning products and eqipment that we use. Remember, the job is done by hand and is likely to take a few hours. 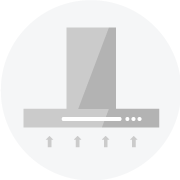 Do you replace oven and extractor hood bulbs? Yes, we carry a range of oven and extractor bulbs in our van. We'll have a look for you when we clean your oven. No, we don't, but for some repairs we will try to source replacement parts from our suppliers or we can often give you details of local companies who carry out repair work.